Imagine how ethereal the place is – the flat grasslands with hues of blue sky on top, erect never ending mountain slopes with pine trees, 100 feet tall waterfalls singing their own songs and hot water spring in the midst of all. Lord Shiva meditated here for 3000 long years. Yes! 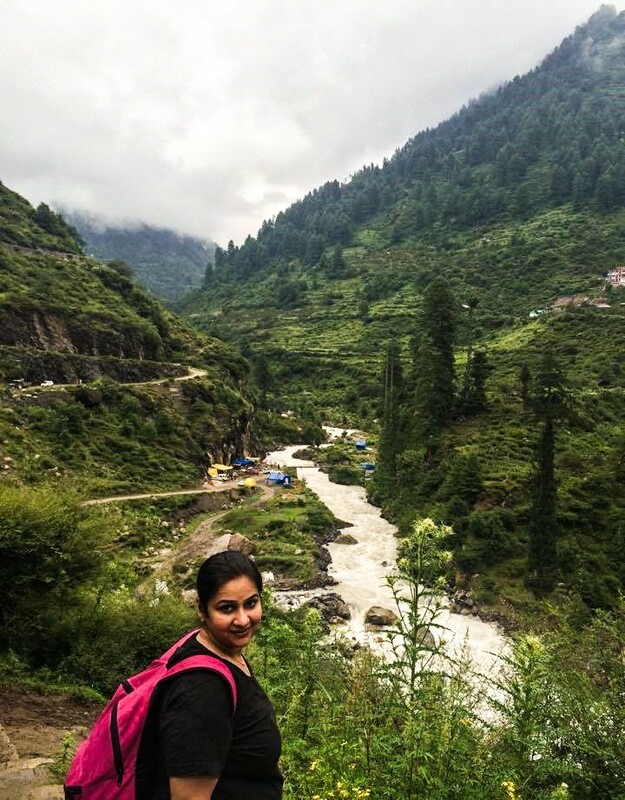 I am talking about the hike to hot water spring Kheerganga in Parvati Valley, located at a height of 13,050 feet. 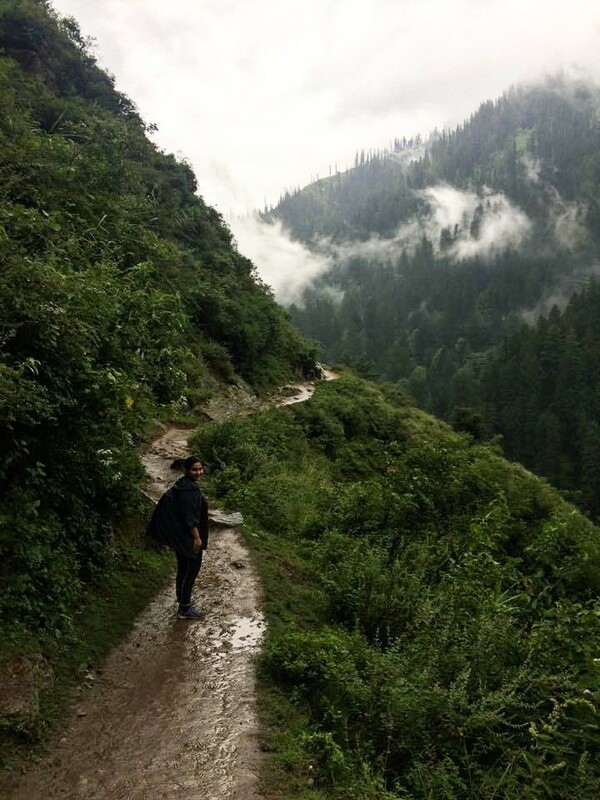 The hike to hot water spring Kheerganga/ Khirganga (as on Google maps) in Parvati Valley, the temporary village is so picturesque that each tough trail gives you spellbound views of nature. Trek lands you away from the city hustle bustle, into the serene lap of nature, isolated from habitation and technology too could not mark itself. At Kheerganga, still, everything has retained its original shape and form. 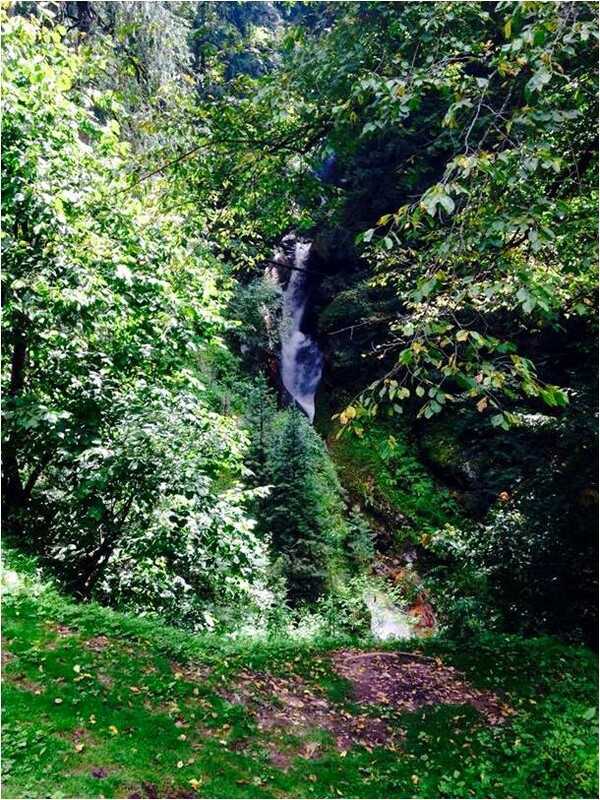 With every step, you hear the gushing flow of water; feel the aura and fragrance of woods. The magic of this beauty force me to say – “I wish this place always remain hidden from the rest of the world”. The best time to hike to hot water spring of Kheerganga is between May – November. 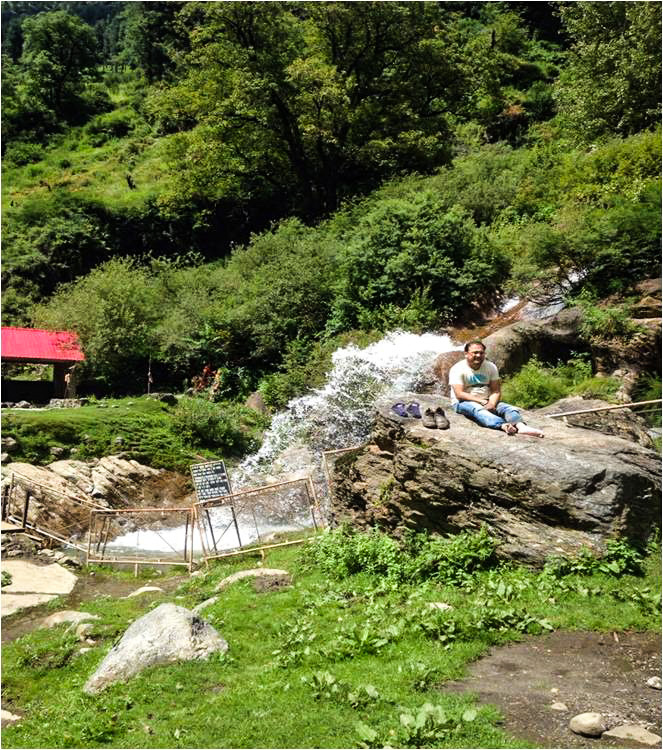 Start your hike to hot water spring Kheerganga early, around 7 am from the Village Barshaini. 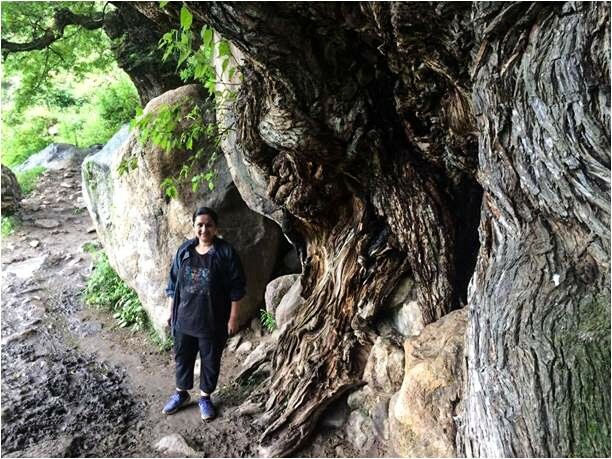 Total hike is 12 kilometres and it takes around 5-6 hrs dangling through mountains to reach the Kheerganga cliff. Barshaini is around 22 kilometres from Kasol and 3 km from Tosh. On the way, there are 3-4 small villages with cottages and shacks. You can eat food, snacks and relax in the springs. 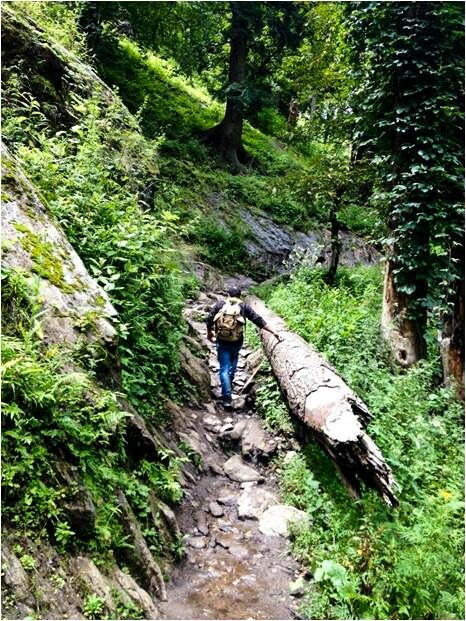 Beyond Rudra Naag, the woods become dense and the trail becomes much steeper. After crossing the bridge at Rudra Naag, 3 kilometres ahead there are 1-2 more Shacks to munch on Maggie and Snacks. 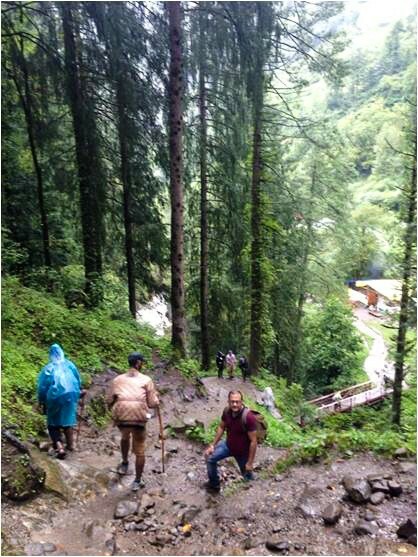 The last part of the trek is a tough strenuous climb before you see an entry point to Kheerganga. The amazing landscapes, rock patterns, tree formations, waterfalls and the alpine meadows bound you to stop everywhere and photo shoots them. On the Kheerganga meadows, there are several lodging and food options at pretty reasonable prices. 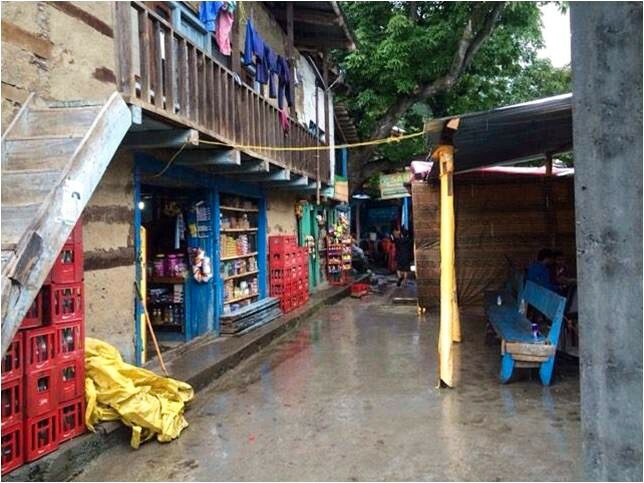 The cafes offer to stay in tents and large halls too with inbuilt ‘angithis’. The cost per bed varies from INR 100 to INR 200 depending upon the season. We preferred staying at Lotus Valley. They have small private cozy rooms for two, at a reasonable price of INR 300. 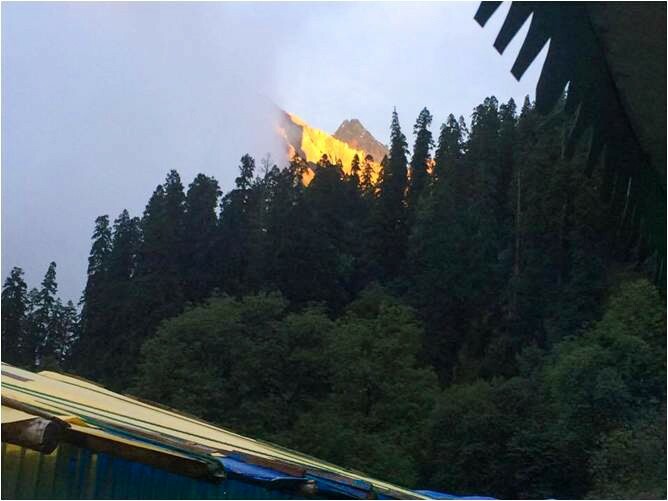 Note: Parvati Valley is turning to a Israeli habitat and wonderland for cannabis (weed) users. The trek is tough and tiring (I wonder how people grade it in easy category) but the mystical and mesmerizing views, take away all your pains. Get tranquilized with smoke and trance music in the evening. Never run and be careful with stones – A single wrong step can end up the story so be very cautious while ascent as well as descent. Do not push yourself – Stop! Take a deep breath and then move ahead calmly. Do not listen to people for any negative thoughts. You know what is right or wrong for you. If you have a strong will and your goal is clear, you will definitely achieve it with a smile and accomplishment. This is our view on the hike to hot water spring Kheerganga, Himachal Pradesh. Share your thoughts and pictures. That must have been such a great hike! The view looks absolutely incredible! Yeah my first hike and it was awesome. Such a cute place to hike in the Himalayas. I guess Himachal has quiet a few hot water springs and natural hot water lakes. I remember visiting one where if you keep rice tied in a cloth inside the water for an hour, it gets totally cooked. Right Neha. The one you are mentioning is Manikaran Sahib near Kasol. I have heard so many good things about this trek. I hope I can make it here this year. 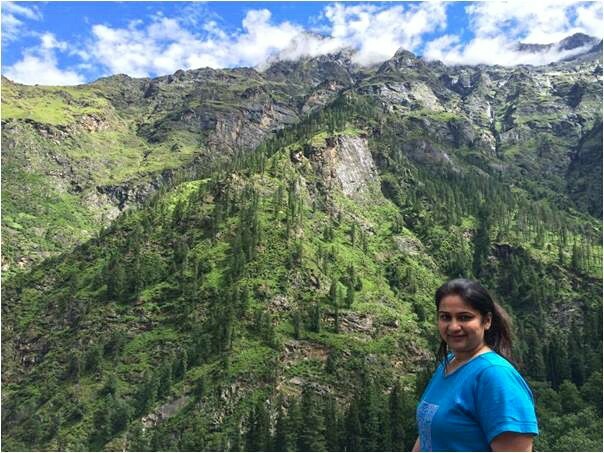 I have not been able to trek last year due to my weight gain and a packed schedule. It is beautiful and worth experiencing. The views from top are mesmerizing. This is a truly beautiful place to hike, and what amazing pictures. The tips are great and I will definitely make use of them if I am ever lucky enough to be in the Pavarti Valley. 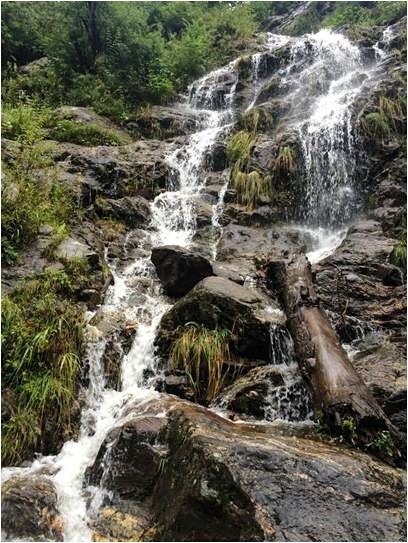 Do try to hike to this beautiful place whenever you visit Paravati valley. it will be a lifetime experience. I trekked via Kalga… it seems you took the other route, something I need to try again. The entire Parvati Valey is indeed delightful although I wished it was a bit less crowded. Have you ever tried to do it in winter? Yes I took the other route. You siad right whole Parvati valley is awesome. No, I haven’t tried in winters. I know it will be beautifully white. But there is a friend who did trek in winters. He is a localite and said the tents are closed at Kheerganga so you need to come down same day. I don’t feel I can do that. This sounds like a great hike. I would want to stay overnight somewhere too, just to break it up some as it it does look like quite a trek. And, that gives you more time surrounded by those beautiful vistas! Thanks so much for sharing! You can do a night stay at village Nakthan. 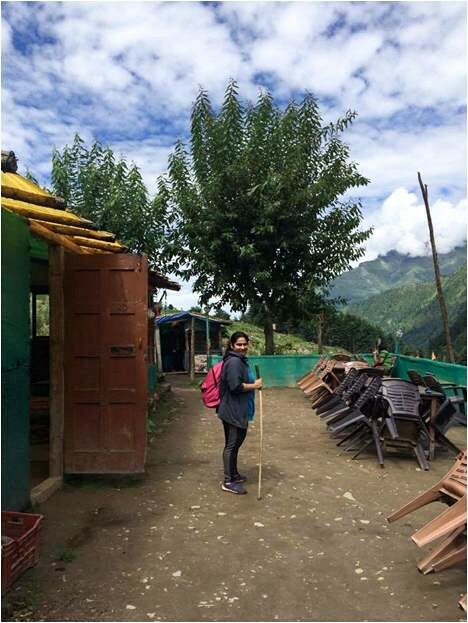 There are some home stays there but I will recommend you to complete trek in a day and stay at kheerganga for at least one day and one night to get those views. Wow, starting at 7 am and spending 5-6 hours on the hike? Girl, you are amazing! I don’t think I would be able to do that. For what it’s worth, the scenery is super beautiful though! This was my first trek and honestly i gave up once. But my husband held me throughout to complete it. It is an awesome experience. On the top of the cliff its super awesome. That is a really good hike it appears. 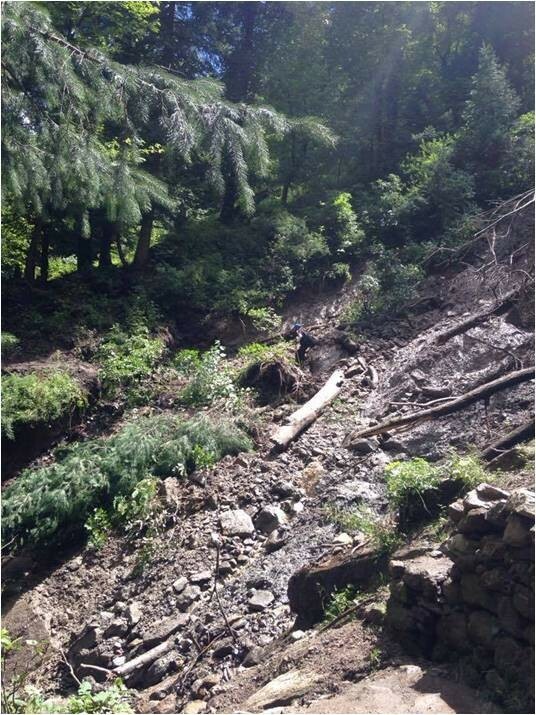 The trails look pretty challenging to climb in some spots. I like how close to nature you are on these hikes and the xhance to see villages too. Ya hikers grade it to the easy category. but I wont say its easy. The last kilometers are actually tough and steep too. All treks might be similar but the views landscapes and aura you get to see and observe are quite different. Do check this out too, if you love trekking and exploring untouched places. Omg, breathtaking photos! The hike looks absolutely amazing, exactly the kind of trekking I love to do. Bet it was loads of fun and a great little adventure! Honestly first in the middle of trek, i was regretting why i am doing it. But after completing I say its life time experience. You wont get such view anywhere else. One must try trekking at least once in life. What a great view! I’m not much of a hiker, but it seemed you really enjoyed yourself! I couldn’t imagine spending that long on a hike though haha. Wow, you’re impressive! Thanks. Even I couldn’t imagine I did it. But it was an awesome experience. The views are breathtaking! I always like to escape my busy city life and commune with nature like this. It just as beautiful. I have interest in going to natural hot springs too and I know how challenging it is sometimes to get to one. But yes, I agree, that as long as you have a clear goal, you reach it and for sure that the nature at the other side of the challenge is worth it! This looks like a beautiful trek. Can you hike all the way up to the top? I mean the snow peaked mountain that is seen in one of your pics? That looks like such a picturesque trek. So how many hours did you take each way? I didn’t understand why you had to pay Rs1000 for each apple. Yes, I agree you shouldn’t pluck what doesn’t belong to you. But other that? One side trek takes 5-6 hrs. Locals don’t want trekkers to pluck their apples on the way. So, its a sort of fine. This entire area looks so beautiful! The hike looks amazing! Was there much wildlife along the way? What kind mostly? There is no wildlife and the trek is awesome. Thanks for all the information. We will be travelling soon. My other companions want to know whether the private rooms in Kheerganga have attached or common washroom. I am unable to get a details accommodation details online. Hi Soumita. There are no attached washrooms with the private rooms and the rooms are very very basic. The other available option is dormitories. Online you want find any details about the . There are several camps at the cliff and they accommodate you even if they are full. Well, this is nostalgic. I have been to this place and I loved it! The view was the best part!